Why doesn’t Blastoise have a fluffy tail like Squirtle and Wartortle? Why does Vulpix’s Pokédex entry in Red and Blue say, “It’s born with a single tail which splits into six with age?” Why does the Earth Badge look like a feather? Why does Blaine look nothing like his concept art from the instruction book? What caused the legendary MissingNo. to exist? Once upon a time, Game Freak (GF) was not a big, accomplished developer capable of releasing good, content-packed games in a 2-year cycle. In the early 90s, the company was more of a group of friends with a concept and some programming knowledge, struggling to turn their ideas into an actual game. Everything changed after 1999. By then, GF had managed to release two critically acclaimed games in Japan and Pokémon was becoming a cultural phenomenon in the West. After that point, they knew what their series was about and could throw money at their problems, hiring the best staff they could need. But the utterly fascinating part is what came before 1999. 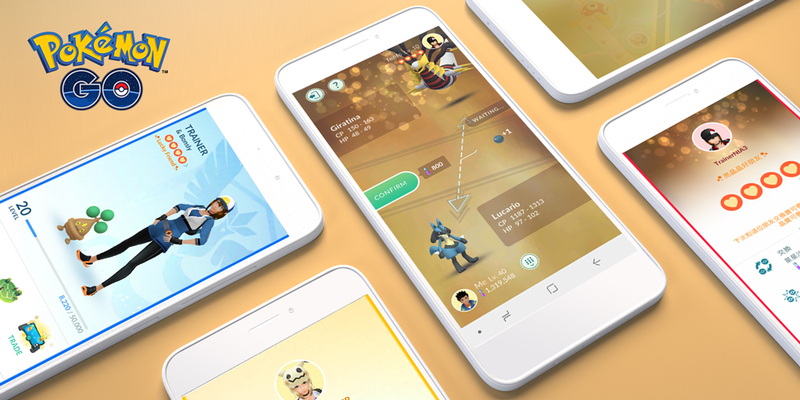 A constant flow of leaks and prototypes in the recent years has allowed us to piece together a story of the slow, halting development of the first generation of Pokémon. With that information, we can reconstruct the thinking process, like how GF defined what a Pokémon even was, and how the gameplay would work. And, of course, the games looked very differently in their first incarnations. They are full of hints and obscure leftovers that now make a lot of sense. I don’t intend on doing an in-depth analysis of every nook and cranny. If you want that, I can’t recommend enough the brilliant investigations of Helix Chamber and The Cutting Room Floor, where most of the images and leaks come from. But putting all their amazing findings together, we can see a global image coming out. This is the story of how the first-generation games came into being – and a presentation of all the facts about development we can put together from the beta leftovers. Obviously, every user in the PokéCommunity knows what a Pokémon is.  But the same cannot be said of a group of friends who had just started a videogame company in 1989 after the success of their “Game Freak” magazine. The original concept of “Capsule Monsters,” which was leaked long ago (you can see it here), shows some ideas that are now staples of the Pokémon franchise – monsters that can be tamed, trained, used in battles and exchanged with other people – but also many that were finally cut. 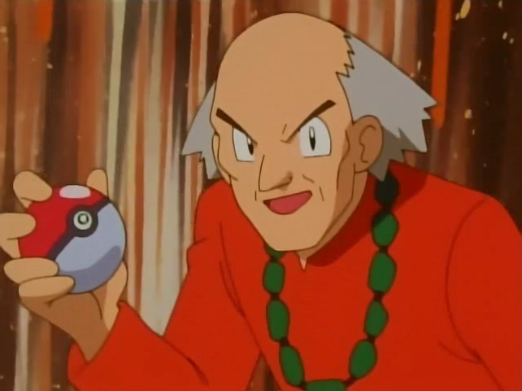 For instance, Pokémon were supposed to be bought in shops and you’d need “charisma” stats for them to stay with you. Evolution wasn’t even mentioned. After all, most real bugs – Satoshi Tajiri’s well-known inspiration – don’t turn into others. But some – butterflies, for example, – do. And that stuck in his brain, as we’ll see later. However, the best example of what they thought a Pokémon was were the designs that already existed. We know in which order (most of) the original Pokémon were created thanks to the internal ID list in R/G/B/Y. 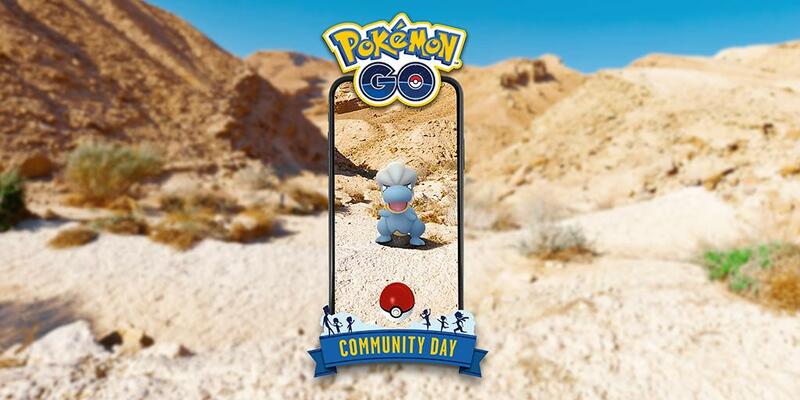 That list was filled as the new designs were added to the game, resulting in oddities like Ivysaur being nowhere near its family members and Rhydon being the first Pokémon created. We know that index order is the real deal thanks to other leaks. 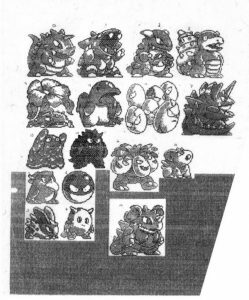 In the Tajiri manga, for instance, there are pictures of the original development documents, showing many Pokémon – including ones that were eventually cut – with an ID number that matches the index order. We also saw another series of blurry pics in an official GF video, showing more ID numbers of Pokémon – that also match the index. Thanks to that, we can see the changes the monsters we know and love went through and how they evolved from their conception. The folks at Helix Chamber have divided the development of the monsters themselves in five big “eras.” In the first one, dating back to the first pitch, the Pokémon – known as Capumon or Capsule Monsters at the time – were outright beasts, heavily influenced by Japanese legends and Godzilla-style tales. The original 17 Pokémon that were designed. Here we can see that many of the original designs – all but two surviving to this day – looked pretty similar. Rhydon and Kangaskhan seem extremely similar, and the one in-between (“Gyaoon,” which was eventually scrapped before being inserted) looked remarkably similar to Kangaskhan caught mid-scream after someone stole her baby. Nidoqueen seems like a relative of all three. 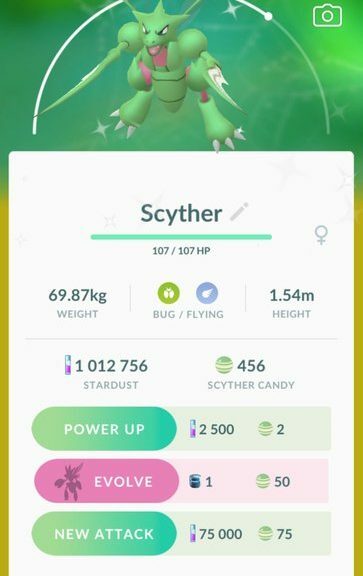 Proto-Scyther had a face like Lapras’s. Even the cuter ones, like Clefairy or the Nidorans, seemed far more monstrous than they eventually became. We also see many interesting concepts – Exeggcute and Exeggutor seem related, and the Nidoran family looks incredibly similar to their final incarnations. 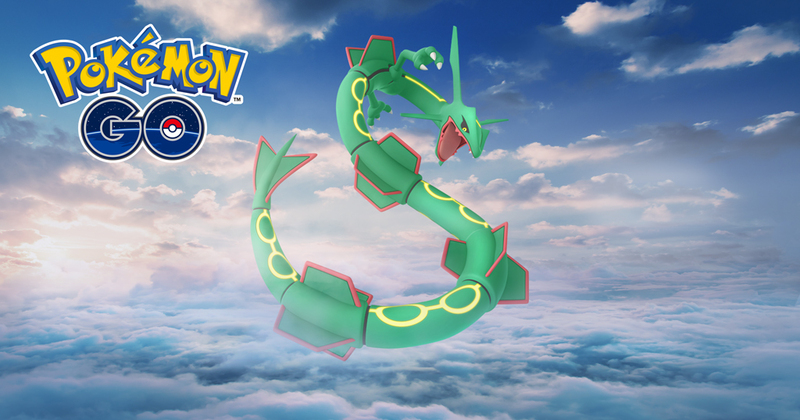 You may notice that evolved Pokémon – Blastoise, Gengar, Arcanine or the thing that is supposed to be Gyarados – are mixing with base forms like Cubone, Staryu or Voltorb, as well as “unique” Pokémon, such as Lapras. All of them have a clear concept related to Japanese legends or their own identity, which makes them unique and monstrous. The idea of evolution is being hinted at but it is not fully developed. Then, the list takes a turn into more animal-like beasts with a clear elemental typing. Graveler, Arbok, Psyduck, Mankey, Tauros, Digglett, Dragonite, Meowth – they are all similar to wild animals in the world the developers were creating, and all of them have a very clear type. In fact, of these, only a minority have double typing, and most of their elemental affinities become extremely obvious just by glancing at their sprites. Machoke and Hitmonlee have a transparent appearance, as do Koffing and Magneton. The Legendary Birds are the ones who are clearly double-typed, and their Japanese names (Freeze, Thunder and Fire) make it clear that they are in-your-face obvious kind of elemental monsters. 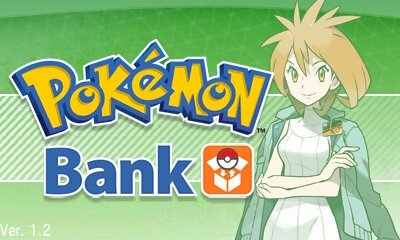 The third group came into existence after Atsuko Nishida joined the team to make Pokémon that were “cuter,” according to Sugimori. Here you see elemental animals, like Vulpix, Pikachu, Sandshrew, Dratini, Jigglypuff and Eevee (and their respective families) that look less threatening. By now, the idea of evolution was established and nearly every Pokémon had at least one relative. That is precisely what pushed the fourth era into existence: inserting dozens of evolutions and pre-evolutions for the early Pokémon that had none, or middle stages for ones that seemed to evolve too massively (like Nidoran to Nidoqueen/Nidoking or Gastly to Gengar). Two more gimmick Pokémon – Mewtwo and Snorlax – appear here, suggesting that the developers were progressing with the game design to the point of needing two more stand-alone Pokémon for plot purposes. One of the childhood legends for every kid that grew up with the original GB games (I know, I’m old) was the fascinating MissingNo. 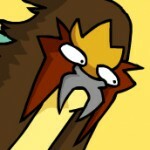 A weird glitchy mess that ruined your Elite 4 records, was Bird-type (what?!) and multiplied the item in the 6th slot. MissingNo. was easily accessible thanks to an utterly stupid trick that resembled all the urban legends you heard at recess (talk to the Coffee Man, watch his demonstration, fly to Cinnabar, and surf along the coastline). In other words, it was every kid’s dream bug. But what, exactly, was that mess? Easy: the restless spirit of cut Pokémon, speaking to us from the programming nether. The index list has a bunch of “undead”Pokémon, that were removed along the way so that the original 186 became the final 151. Their holes along the list became MissingNos – a fail-safe so the game wouldn’t implode when accidentally triggered to show one of them. If nothing else, the first-generation games are a fantastic demonstration of how to program a game so that it keeps running even faced with the dumbest, most insane accidental bugs. 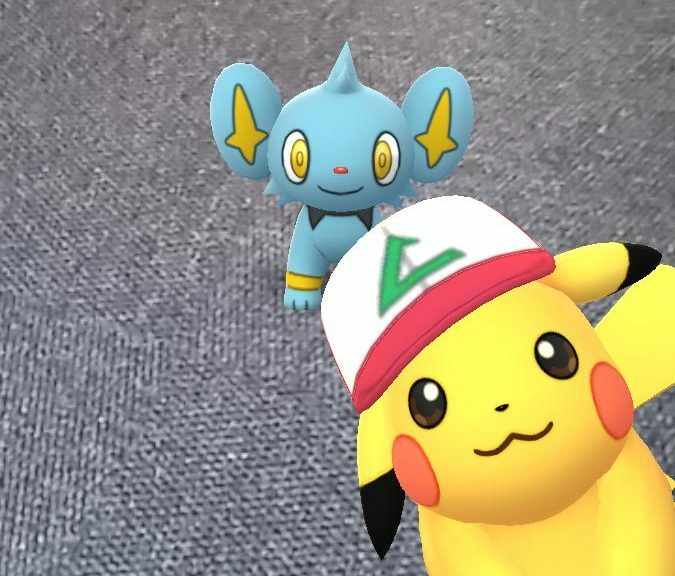 Many of those long-lost Pokémon could be seen through leaks. Recently, Helix Chamber got hold of the backsprites of many of those Pokémon. Some of those discoveries are amazing. Now, look at the era’s image… with them added in. Those are some changes! And yet, they mostly match what we knew. 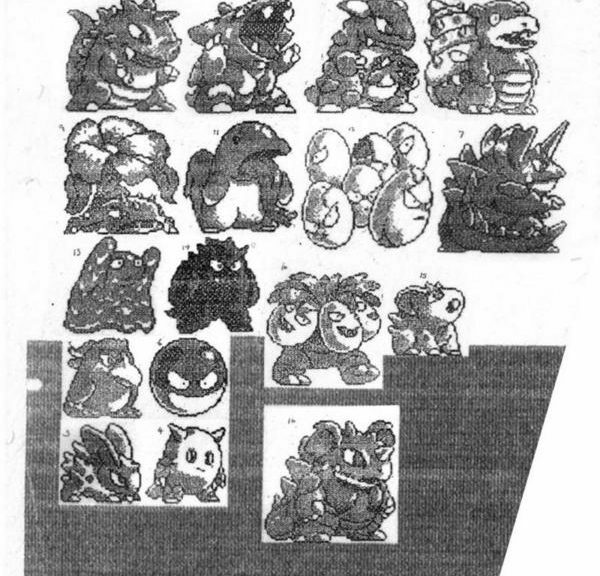 The beta Pokémon in the first era look much like the monsters we mentioned before. #31 looks like a generic “Big Bulky Beast” such as the ill-fated Gyaoon, and #32 looks like a Nidoran Male clone. It makes you wonder, above all: why? Is that an attempt at a non-binary Nidoran? 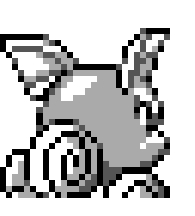 Then, as we go on, we see that the scrapped Pokémon look very much like you’d expect in all of their “eras”. 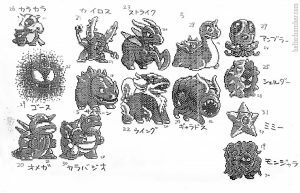 In Era 2, that of the elemental animals, you get a deer (#56), an elephant (#61), an octopus-like thing (#63), a cactus (#67), a shark (#68), a bat before Zubat existed (#69), and a male Jynx (#52), (which makes you wonder whether they were planning on more gendered species other than the Nidoran Family), and… a vaguely animal-like thing (#62). Also ball Kirby a balloon (#60), of all things. As a Drifloon fan, I’m glad they pulled it off properly three generations later. The more interesting stuff starts in Era 3. We have three pairs of cute scrapped Pokémon: two fish-like creatures (#79 and #80), two generic monsters with bulging eyes (#94 and #95) and two that are… frankly indescribable (#86 and #87). But there is one that stands out massively: Mikon (#81), also seen in the betas of the second-generation games. The baby Vulpix matches the description from the Pokédex in the original games, in which the fox Pokémon is said to be born with one tail which later splits into six. That’s a fascinating reference to a pokémon that never made the final list. Again, Era 4 matches the overall pattern. We have evolutions of unmatched Pokémon, like the octopus from earlier (#122), or Psyduck, which apparently had not one, but two evolutions! (#122). 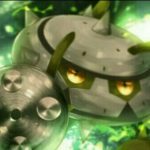 The same goes for a Magneton-like Pokémon (#140), and an evolved Marowak that looks like Kangaskhan with a skull (#146). In the same vein, there is what seems an evolved form of the also-scrapped #31 (#137). But there is also a Mikon-like baby mon that was supposed to appear in the second-generation games: the utterly adorable baby Meowth (#134). Sadness abounds. And those aren’t the only ones: in Era 5, there is a baby Ponyta (#162) and a baby Goldeen (#156) that were supposed to turn their families into neat groups of three, like most of the new ones added by then. Incidentally, that would also explain Ponyta’s absurd level 40 evolution. There is also the baby form of the bulging eyes duo of Era 3 (#174) and… Gorochu, the evolved form of Raichu! (#175). Some time ago, its existence was revealed in an interview, but it was said to have been removed to “keep the game balanced”. But, remember that infamous line in which, after an in-game trade, a NPC tells you “Your Raichu went and evolved”? Well, even if all signs point at a faulty localisation (in Japanese Blue you are trading a Kadabra and a Haunter), it seems such a thing was actually supposed to happen! Certainly, knowing The Pokémon Company’s obsession with Pikachu, it’d have been a shame if they had ended up neglecting not only one but two evolved forms of the best-known series mascot. At least I’m glad our Alolan pancake boi did get into the family, eventually. Kotora and Raitora. Sprites from the Gold and Silver Spaceworld Demo. And then… come the two most fascinating families. One is the Kotora line. #159 through #161 were supposed to be three-stage line of an adorable electric tiger that was eventually scrapped. Its third stage was seemingly dumped into the graveyard of beta elements, but the first and second stages, Kotora and Raitora, were given a new lease of life in the second-generation games… before being scrapped right back. They probably are the cutest Pokémon that never existed. But the icing in the cake is the fact that… Blastoise was not supposed to be Wartortle’s evolution! As we discussed before, the non-Bulbasaur Starters were added really late into development, while Blastoise was one of the early birds (or, well, turtles). But the two Starter late lines weren’t added in neat trios, like the rest of the Era 5 families. Rather, the order is as follows: Charmander-Squirtle-Charmeleon-Wartortle-Charizard… and then there is a Missingno. You can notice a pattern. Can you notice patterns? Can you? It becomes even more intriguing when you notice how the Charmander family shares the same base cry, with its pitch altered, and both Squirtle and Wartortle do as well – but Blastoise has a completely different one. And then, turns out, the mysterious Missingno that goes where the Wartortle evolution should be has… Squirtle’s cry, but with its pitch changed in the same way Charizard’s was modified from Charmander’s. Indeed, it was supposed to be a big Wartortle! With the same ears, twirly-shaped tail, and cry. But that’s not all! In spot #172, you find something that looks like a turtle, with what seems to be a bubble on its nose and something that resembles cannons in the back- easily a Blastoise pre-evo. How did the two families get mixed? It is possible to imagine that, during the culling stage, when they narrowed the Pokédex down to a neat round 150, they decided to get rid of two “redundant” turtles. But instead of shelving the Blastoise line, they decided to get rid of big Wartortle and little Blastoise and repurpose the one turtle they had known for years as the end of the Squirtle line. There is one last, fascinating topic, in the form of the well-known Mew. 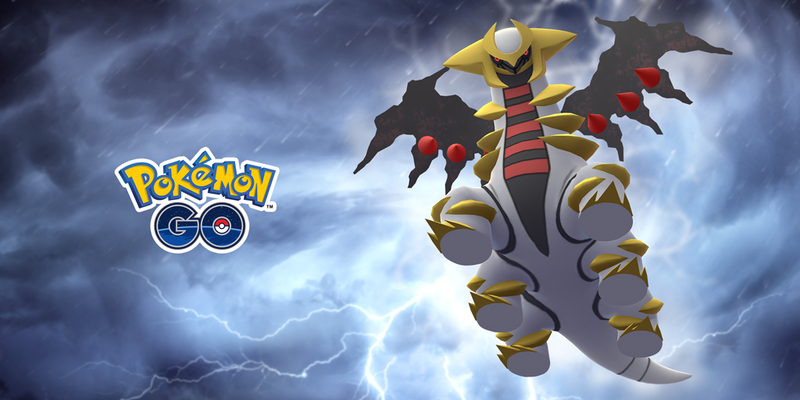 The legendary Pokémon — easily the biggest urban legend of the first-generation games — was added, as Shigeki Morimoto said in an ‘Iwata Asks’ interview, at the very last moment. “We had 300 bytes after removing the debug program, just enough to place Mew in,” he says. And that makes some sense – spot #21 in the index list was once occupied by “Omega”, a Blastoise look-alike reminiscing of the Kaiju monsters of Japanese movies. Not only that, but the beta list also reveals that, by the time all the 190 Pokémon had been programmed (as well as the Trainers), Mew was nowhere to be found, and slot #21 was empty. So, indeed, Morimoto’s story matches the facts! Mew seems to have been a last-minute addition, and it’s believable that Omega was one of the earliest “culled” mons, as the Big Bulky Beasts of Era 1 started to feel redundant, and its slot was used for debug tools. But there is something that doesn’t match the facts: Pokémon #131, from Era 4, better known as Mewtwo. How could a ‘second’ Mew have existed years before the ‘first’ one did? According to Morimoto, Mew was supposed to be just a “namedrop” in the Cinnabar Mansion logs. Which means it’s very likely Mew was planned from the start, but they intended to leave it as a hook for the sequel – dropping hints about its existence at the end of the game (of which Mewtwo would be the clearest one). Maybe Mew would have played a bigger role in Pokémon Gold and Silver, or been a big continuity reward for players who remembered him from the original games… until Morimoto decided it was even cannier to hide a golden easter egg and urban legend. Certainly, it seems he had the better vision. But if the titular Pokémon changed, the actual content of the game also went through several stages. Admittedly, it feels as if the team had a very clear idea of how they wanted the games to be – the Kanto Map looks very similar to its final incarnation, and some of the challenges look set from the start. But some things really did change. One of the biggest questions is… Giovanni. His existence really confuses me to no end. This section is going to be more speculative than anything, but it really, really feels like the charismatic leader of Team Rocket wasn’t supposed to exist at first, with his role occupied by different people. Eventually, he was created and placed in key events – the eight gym and Silph Co. – where he didn’t initially belong. And his existence caused a strange switch between another Gym Leader and a dummied-out character… for some reason. I prefer them in their Sun/Moon anime style tbh. Here are our good friends Brock, Misty, Lt. Surge and Erika – so far so good. Except their order is… strange. But here is when the real fun starts. Here is a little bit of an unmistakable Koga and… some strange guy! Who? Well, this guy? Don’t you remember your anime? Still no idea? Well, it’s Blaine, of course! Haven’t you looked at your instruction booklet? That’s Blaine! Next to THE BROCK! If you are wondering, yeah, you’re right, that’s not how Blaine looks, at all! This is Blaine! So, what is going on? Is that a kid-sized Team Rocket badge too? There is a kid! As the first Gym Leader! With Giovanni’s pose, of all things! Really, look at this! Wait, isn’t that modern-day Blaine? Well it is! Which also explains why Silph’s president shares a sprite with Blaine – and Blaine only – in Yellow! 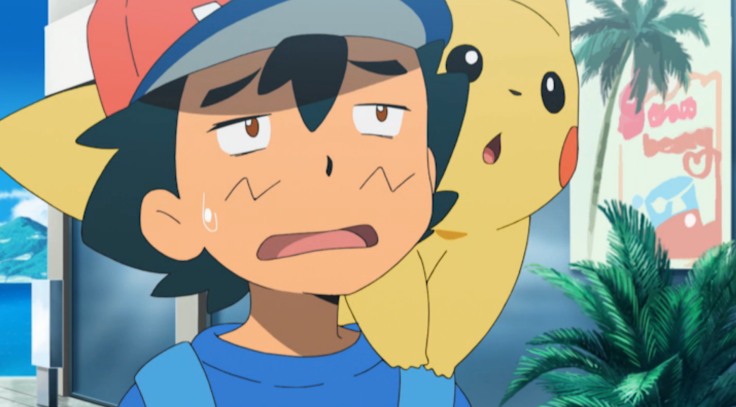 So, at this point, we can see a faint image of a plot in which Giovanni didn’t exist, the overpowered Psychic gym was the final challenge, and the Silph Co. adventure was part of a cunning plan by its own president. But someone thought that having a Gym in Viridian was a bit pointless – after all, you literally had just started the game, so throwing you into a Gym right away wasn’t the best idea. And so, Giovanni came into being, reusing the pose originally intended for the kid leader, and eventually replaced Silph’s chief as well. 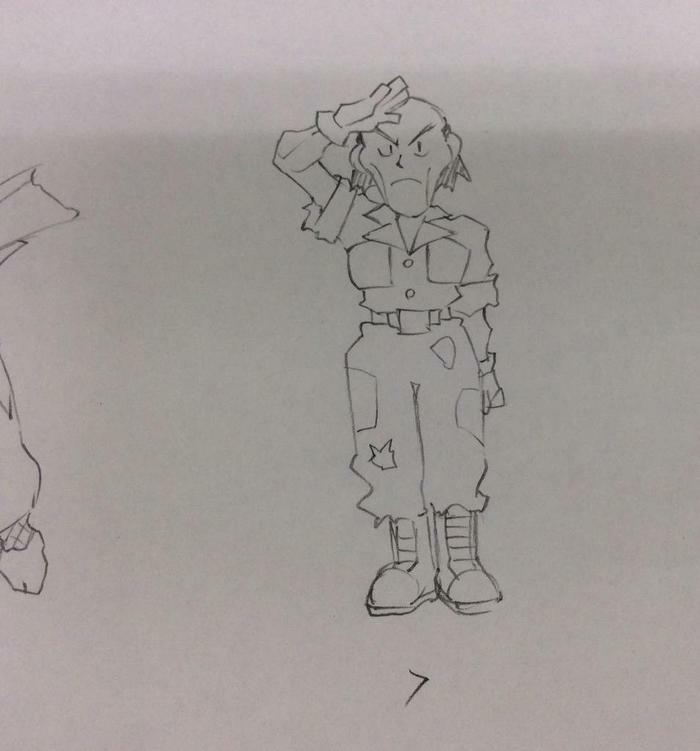 And his dummy sprite, now unused, was given to Blaine, since there already was a military-type leader (and the people doing the booklet didn’t hear about the changes). Or that is what I’d think, if it wasn’t because… Giovanni already appeared in the first revision of the battle sprite list, when kid Leader had a different pose and most Gym Leaders didn’t even exist! Brock also grew up during development, it seems. So… colour me stumped. Another possibility is that Giovanni was going to have a small role as a Team Rocket leader, up until Celadon, and they put the Silph Co. takeover under his list of crimes afterwards. 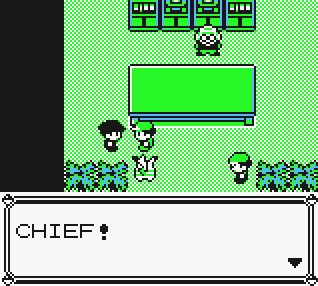 Except that wouldn’t explain why a Rocket grunt name-checks Chief – in all caps, like all other names in the game – in Celadon! 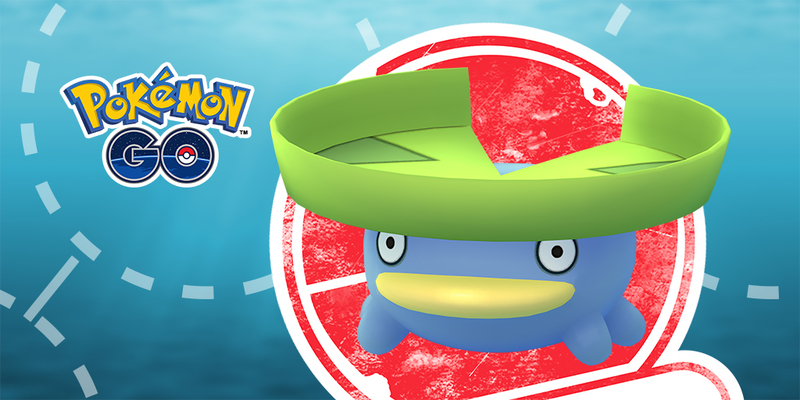 We just shipped 2000 POKéMON as slot prizes! 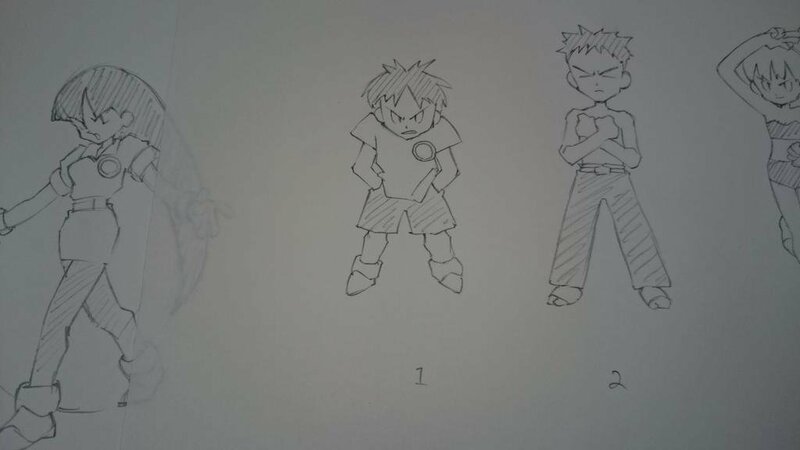 Then there is the fact that Giovanni got his pose before the Gym Leader kid did… even though the kid already had that pose in the Gym Leader concept art! Seriously, I’d like to know exactly what happened. One last thing. This was Giovanni’s original Gym Leader team, according to the beta info: Farfetch’d (50), Fearow (48), Dodrio (46), Pidgeot (47), Aerodactyl (44). Other than the hilarity of the boss of Team Rocket using a Farfetch’d as his ace, that shows another beta leftover: the Earth Badge… is a feather! Interestingly, this situation is very similar to that of Ocarina of Time (a game released around the same time), in which the Forest Temple was originally wind-themed, as you can see in the Forest Medallion – which has wind imagery – and Ganon’s “forest” room being full of wind puzzles. I guess that’s why they felt bad and made the first Gym in GS a Flying-type one. It seems the mystery of how Giovanni got into his slot as Viridian Gym leader and Silph Co.’s invader will remain. 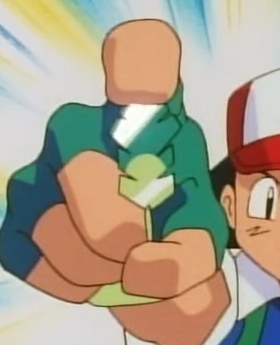 But at least we know something: before he liked Dugtrio, he liked Farfetch’d. And that is possibly the closest our dear leek duck has ever been to relevancy. Considering that it was supposed to have an evolution in the second-generation games that was also scrapped, it seems someone really hated it in Game Freak. Poor Farfetch’d.